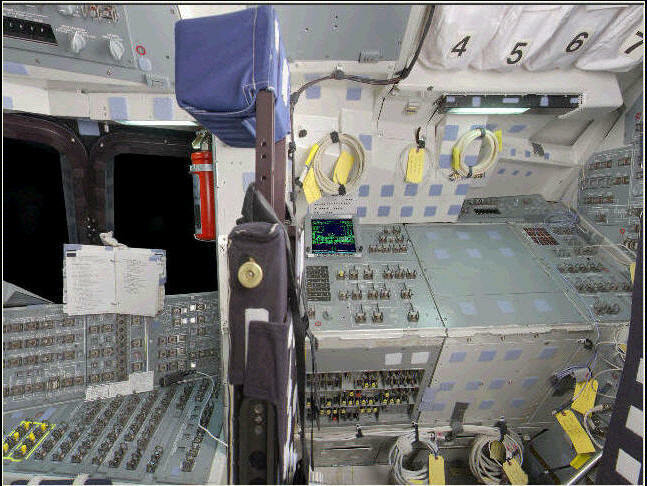 ﻿ APU Panel on the Space Shuttle Guide;The APU Panel of the Flight Deck of the Space Shuttles. 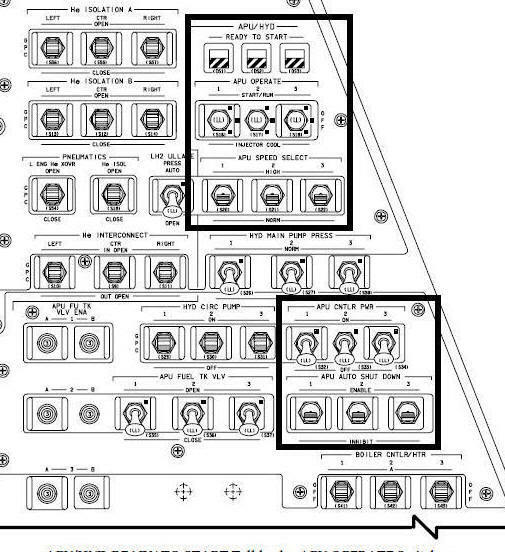 Three identical, but independent, improved auxiliary power units (APUs; also called IAPUs) provide power for the orbiter hydraulic systems. The APU is a hydrazine-fueled, turbine-driven power unit that generates mechanical shaft power to drive a hydraulic pump that produces pressure for the orbiter’s hydraulic system. Each unit weighs approximately 88 pounds and produces 135 horsepower.